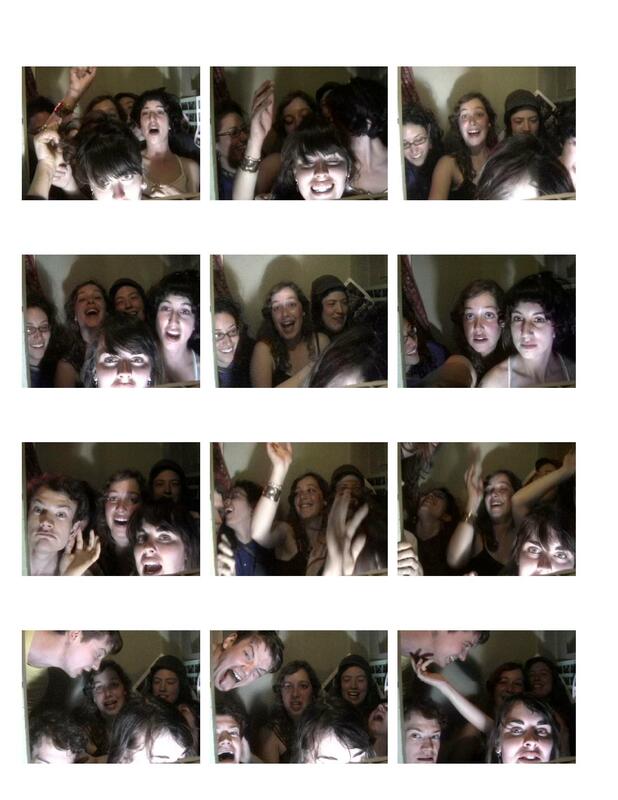 Over the years I have been iterating on a photobooth of my own design. One of the more prominent phases was during it's life under the stairs at 50 Loomis, Burlington VT. Sadly, at the time of this writing, I am without a photo of the booth during this period. 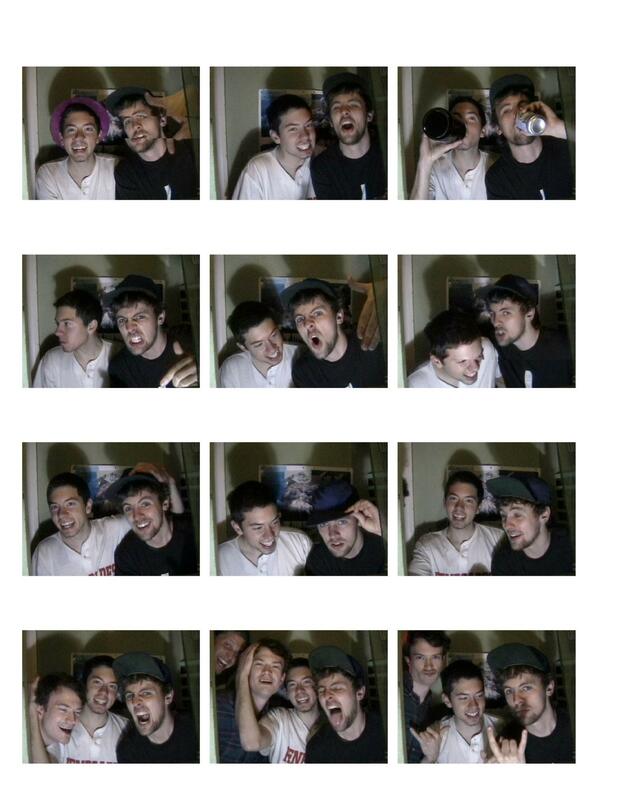 However there are ample photos from excellent times had in the booth, examples may be seen above. The brains of the booth during this time was a PowerMac G4 which is functional however sorely underpowered (it should not be running Leopard, but it is!). A DV camera is connected via firewire and a laser printer via USB. The program I wrote has gone through several revisions and rewrites. Currently it's a Processing program which waits for the enter key, plays countdown and shutter sounds and takes a series of 3 photos. 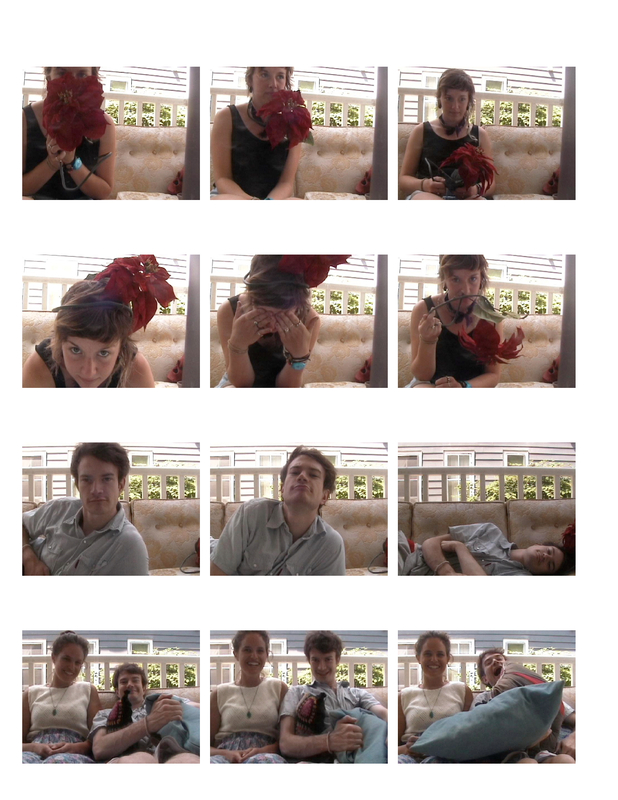 Once 12 shots have been taken, an Automator script is called to generate a contact sheet and print it. The whole thing is rather high level which causes it to run painfully slow at times. But it usually works and people enjoy it especially at parties. It's been featured at 2 years of the Old North End Ramble.